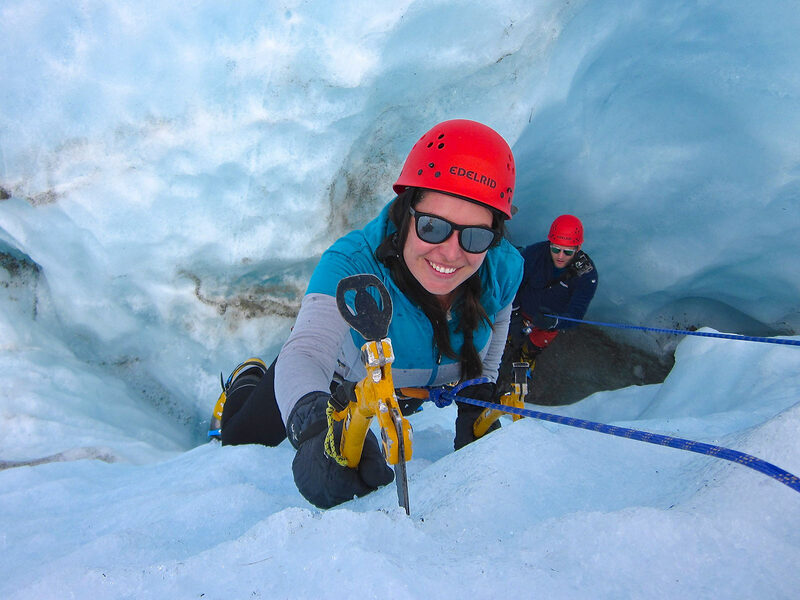 Learn how to ice climb on New Zealand's biggest glacier, the Tasman. 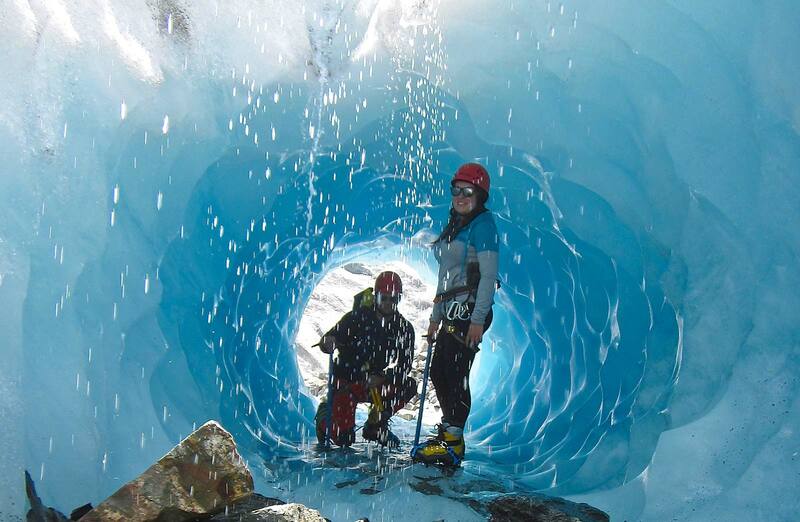 Explore the wonders of this great glacier and have fun doing so. Your guide is going to teach many aspect of ice craft. 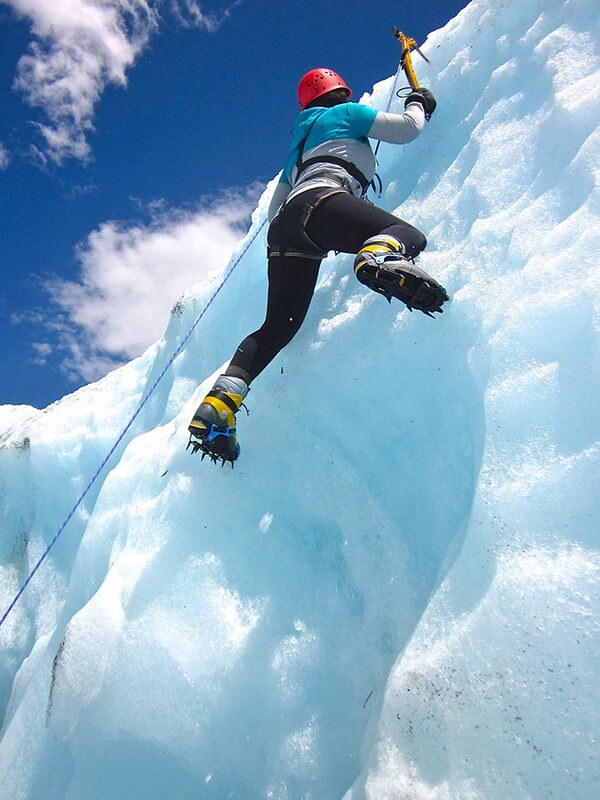 You'll also take the time to explore fun ice climbing venues on the glacier as well as some ice caves and ice formations. Start time: 9:00am. We meet at The Old Mountaineers Café Bar & Restaurant, next door to the DOC Visitor Information Centre. What to bring: Dress warmly. We can supply all the necessary gear. Bring your lunch or we can supply a lunch. Join us on a one-day heli-climbing trip! 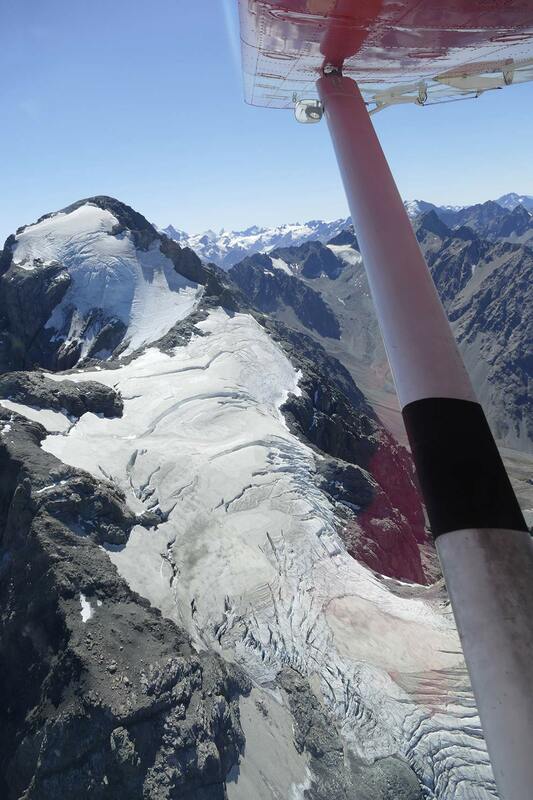 Southern Alps Guiding has several one-day Heli-Climbing days for all abilities. If you have time considerations and want to squeeze in a classic alpine climb before leaving Mt Cook, then check this out!!! Hochstetter Dome and Mt Alymer - situated at the head of the Tasman Glacier these two peaks are our classic intermediate peaks with great views. 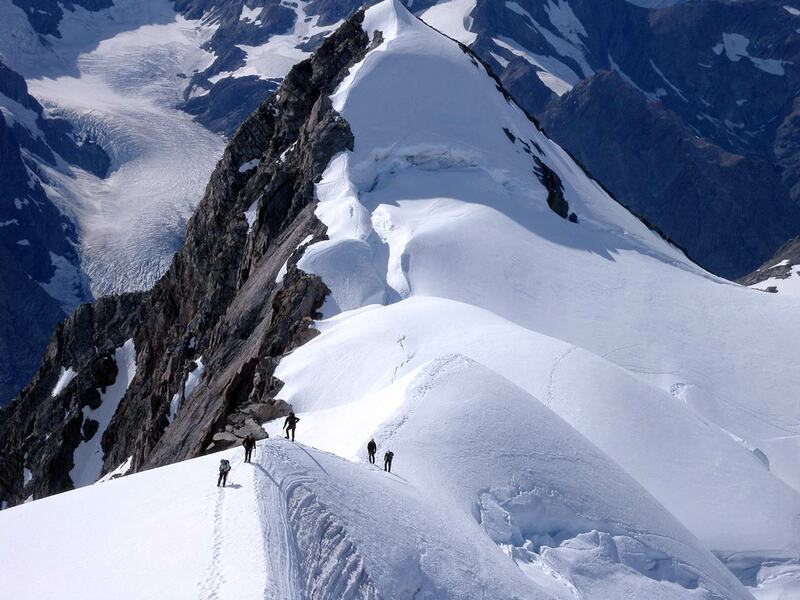 These snow and ice peaks can be be climbed in winter or summer and both are done in the same day!!! Fantastic views of the Southern Alps and the Tasman Sea and the West Coast. Access is by either Skiplane or helicopter. Price on application. Nuns Veil - at 2749 metres. 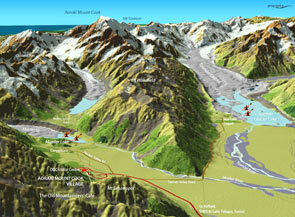 A great glaciated peak to climb with great views of the Southern Alps and Aoraki Mt Cook. Probably the best there is! $985pp for two people. Cost includes 2 helicopter flights - in and out, guide fee, lunch and climbing gear. Boots can be rented. Want to learn some mountaineering skills in an amazing alpine environment and also learn how to stay alive in the mountains? 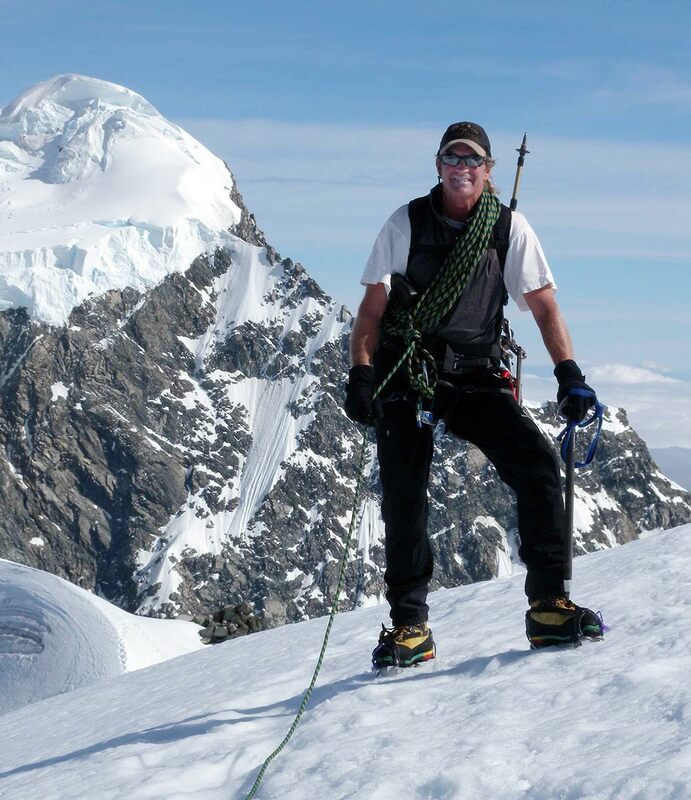 Join us on our one day Alpine Instruction and Survival Course trip. We begin with a full safety briefing and gear check. Equipped with crampons, ice axe and technical mountaineering equipment, we board our scenic helicopter flight that takes us high onto the Nuns Veil Glacier where our alpine instruction begins. The flight includes views of the spectacular Southern Alps and Aoraki Mount Cook. Our instruction venue is sited in a spectacular location with stunning views of the Caroline Face and East Face of Aoraki Mount Cook at an altitude of 2200 metres. We’ll teach you how to use an ice axe and crampons, snow anchors, basic rope skills, self arresting and basic mountaineering skills. We’ll also go over how to build a snow shelter. We meet at The Old Mountaineers Café Bar & Restaurant, next door to the DOC Visitor Centre at 9:30am. Prices include: Guide fee, 2 aircraft flights, DOC permit fees, technical gear, packed lunch and GST. COST: 2 people $985pp, 3-5 people $685pp. BOOKINGS ESSENTIAL. 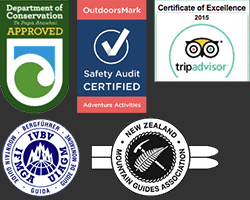 Heli-Climbing Southern Alps Guiding has been operating for 27 years, and is safety-audited and an approved DOC concession holder.